After a car accident with a child, there are a few special steps you should take. Getting into a car accident while driving with your child may sound like a true nightmare. Even worse, if your child suffers from injuries resulting from the accident, you may be looking at an especially complex case both legally and financially. The most important thing to determine right now is your child’s safety. Your first instinct may be to remove your child from the car seat, but this might not be the best idea if your child has sustained neck or head trauma, which may not always be apparent immediately after an accident. 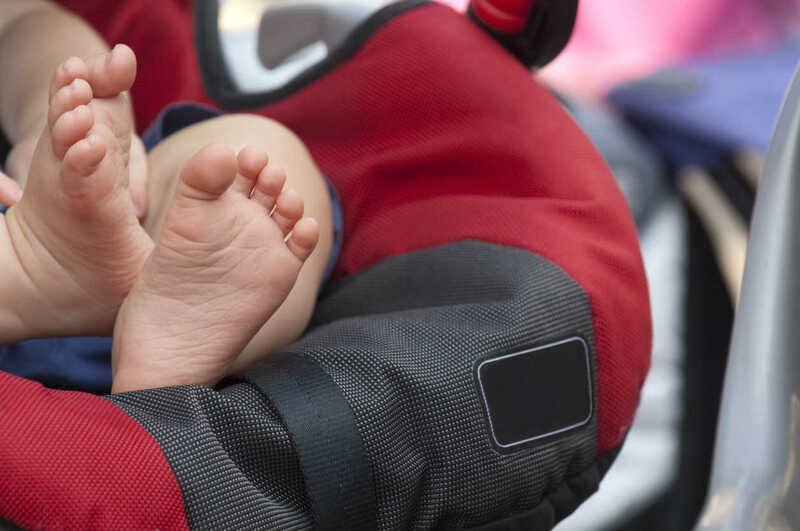 If you have to take your child out of the car for safety reasons, it’s best to remove the entire car seat with your child still strapped in until the ambulance arrives. Your child will likely be in shock after an accident, so you’ll want to be able to focus on their emotional needs. Ask your partner, a friend, or your lawyer to meet you to help you deal with the legal aspects, like taking pictures, to allow you to better care for the emotional and physical needs of your child. Of course making sure your child isn’t suffering from spinal cord injuries is the number one priority, but your doctor will probably also want to assess the mental health of your child. Getting in a car accident can be enormously traumatic for anyone, especially a child, so your pediatrician might recommend that your child see a therapist. You should also keep an eye out for signs of trauma or anxiety like nightmares or difficulty falling asleep. In infants, trouble feeding and irritability could be signs that your child is suffering. Because injuries may not always be apparent in young children right away, it’s especially important to start working with a St. Louis auto accident attorney right away. If an injury only becomes obvious months after the accident, working with a lawyer from day one could save you time and help your child get the care that they need. The unfortunate truth is that children are more susceptible to injury in a car accident and injury to the head or spine could result in a lifelong disability. Working with a lawyer could mean the difference in being able to afford the care that your child deserves. Even if you can’t see anything wrong with your child’s car seat, the impact of the accident may have caused internal damage to the car seat, now rendering it ineffective or even dangerous. Getting in a car accident can be both terrifying and costly. When you have your child with you this is especially true. Having the help of a trusted St. Louis car accident lawyer can help guide you through the stressful process of filing claims for your child and getting them the care that they need. As an adult, when something horrible and scary happens, you can usually make sense of the situation. Children don’t have the same maturity to comprehend what goes on during a traumatic crisis. Something as minor as a car crash can leave a huge impact on your child and lead to emotional distress long after the event is over. If you are in a car accident with your child, it is not only imperative that you watch for signs of physical trauma, but also critical that you pay attention to the subtle cues of emotional trauma that can affect their future. When you and your child are in a car accident, you are generally entitled to non economic damages and economic damages. Mental trauma can fall under both of those categories. If your child is experiencing trauma due to a car accident, then you may be entitled to have both the cost of their therapy covered and to be compensated for their emotional distress. But, how do you know if your child is suffering if they can’t express their feelings about the event? If you notice that your child’s behavior has altered since a car accident or that they are showing signs that they have been mentally traumatized, it is important for you to seek the proper medical attention. This will ensure that your children get the help they need and so that you are fairly compensated after for their distress. What Kind of Proof Will You Need to Show That Your Child Is Suffering Emotionally? Since trauma and mental anguish are highly subjective, it is important that you seek medical attention if you fear that your child has been traumatized and that the trauma has had a lasting effect. A clinician will be able to diagnose and treat your child to minimize the potential that the car accident will have a long-term effect on your child’s psychological well-being. Having the proper documentation will not only be important to getting your child the emotional care that they need, but it will also be necessary to receive what you are both entitled to for non economic damages. If you aren’t paying close enough attention to get your child the care needed, your child can have residual anxiety that can last a lifetime. If you are in a car accident with your child and you are beginning to notice a change in your child’s emotional well-being, it is important to not only document it, but also to get your child heal both mentally and physically. Make sure to make your child’s emotional distress known to your St. Louis car accident attorney. They will help you collect the proof you will need to receive compensation in order to combat your child’s pain, suffering and emotional distress.